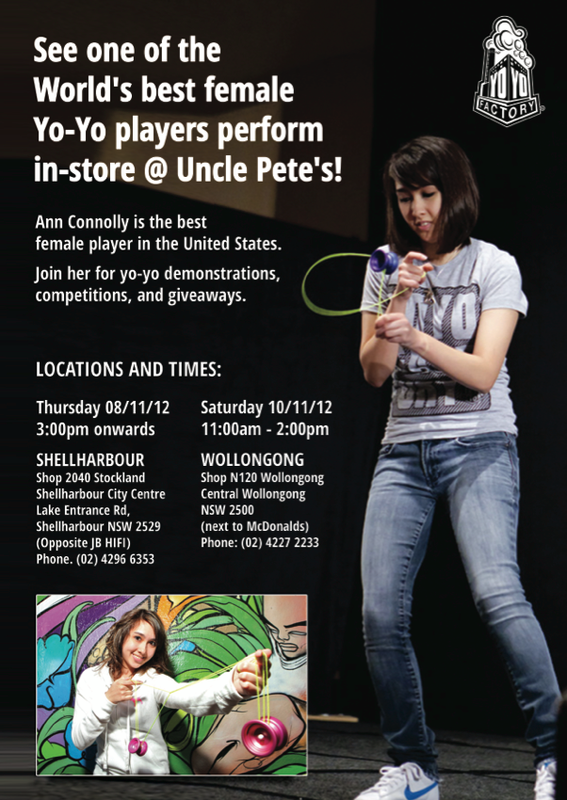 Ann Connolly, one of the best female yoyo player is in Australia now to show you the demonstrations. Time and locations are all in the flyer above . If you are in the Illawarra area come by and see Ann! Met her with the Australian Yo-yo crew on Sunday. Amazing!